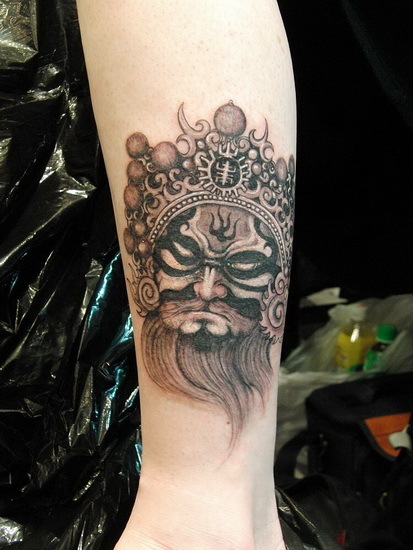 The tattoo design is a painted face male role in Beijing Opera. Beijing opera boasts 15 basic facial patterns, but there are over 1000 specific variations. Each design is unique to a specific character. The patterns and coloring are thought to be derived from traditional Chinese color symbolism and divination on the lines of a person's face, which is said to reveal personality.